While there are a number of kettlebell movements and exercises available, you can plan a variety of kettlebell workout routines around a few of the most basic moves. Kettlebell workouts are now becoming an increasingly popular way to gain strength and also to burn fat. Here are a few routines that will help you increase your lean muscle mass. One reason kettlebell workout routines are so effective is that they target the large muscle groups that you use on a daily basis. 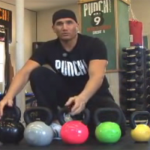 Two of the most popular kettlebell workout exercises are the swing and the clean. These exercises also come in a number of variations, and it’s easy to build a whole workout around these two moves. Once you’ve mastered these exercises, you can build on your foundation and incorporate more kettlebell workout training. Kettlebell workout exercises can be performed by women and men of all sizes and ages. However, it is important to check with a doctor, especially if you have had any type of spine, neck or shoulder injury, before performing this workout. 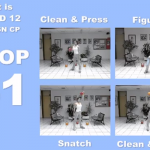 The swing is probably the most basic kettlebell move. It works your arms, shoulders, legs and core muscles. It’s really a full body workout. 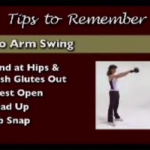 You need to learn and master the swing first before moving on to other kettlebell workout routines. To make this a great cardio workout, as well as a strength training exercise, start with a 8-15 pound kettlebell and perform 3 sets of 30 reps. You can work on increasing the number of reps over time to extend the workout. 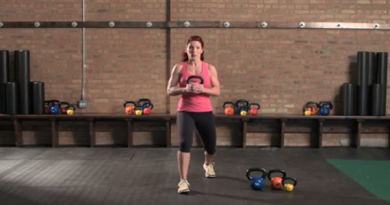 Kettlebell Clean – This move provides the basis for other type of pressing exercises. In this excercise, you squat down and grab the kettlebell with one hand by the handle, then stand and bring the kettlebell up to the shoulder safely. This allows you to then press the kettlebell up over your head. This is an exercise that uses your whole body, and allows you to lift a heavy weight over your head without relying solely on the arm or shoulder muscles. When done properly, it should not cause any pain or bruising to the forearm or the shoulder. You can master these two basic kettlebell workout routines. The majority of kettlebell exercises build upon these two moves, and once you are comfortable with the swing and the clean, you can start doing variations like two-hand kettlebell swings and the clean and press. 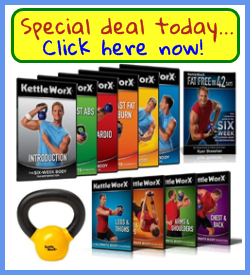 If you are serious about getting into shape, kettlebell workout routines provide a perfect solution.